Drought-affected aspen trees in Colorado. RICHLAND, Wash. — As global temperatures continue to rise, droughts will become more frequent in many regions. A new study in the journal Nature has found that ecosystems are taking progressively longer to recover from droughts. 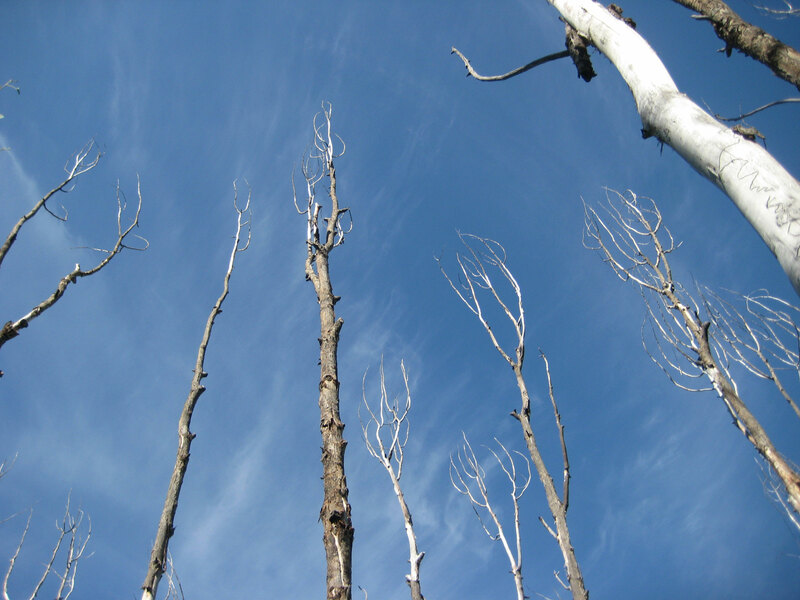 Incomplete drought recovery may become the new normal in some areas, possibly leading to increased tree death and emissions of greenhouse gases. Led by Christopher Schwalm of the Woods Hole Research Center, researchers from 17 institutions including the Department of Energy's Pacific Northwest National Laboratory used remote sensing, field data and Earth system modeling to measure recovery time following droughts in various regions of the world. PNNL's Maoyi Huang modeled droughts and ecosystem recovery using an Earth system model. The team combined her model results with other models and data from short-term ground and satellite observations to re-create conditions in the last century. The team found that the frequency of six-month recovery times dropped while two-year recovery times more than doubled from the early 20th century to the end of it. Drought recovery times in two particular regions, the tropics and the northern high latitudes, were longer than in others. Overall, the results suggest that, in some areas, if the frequency of droughts increases, the time between droughts likely won't be long enough for trees to recover. That could lead to vegetation taking up lower amounts of carbon out of the air. Read more in these stories at Woods Hole Research Center or Carnegie Science. REFERENCE: C.R. Schwalm, W.R.L. Anderegg, A.M. Michalak, J.B. Fisher, F. Biondi, G. Koch, M. Litvak, K. Ogle, J.D. Shaw, A. Wolf, D.N. Huntzinger, K. Schaefer, R. Cook, Y. Wei, Y. Fang, D. Hayes, M. Huang, A. Jain, , and H. Tian. 2017. Global patterns of drought recovery. Nature. DOI: 10.1038/nature23021.